vegetable tempura | Cooking With Mr. C.
When making vegetable tempura, you can use a variety of different vegetables. Here’s a basic recipe. 1. In a bowl, beat egg and then add iced water. Add sifted flower. Mix gently. Do not over mix batter. 2. 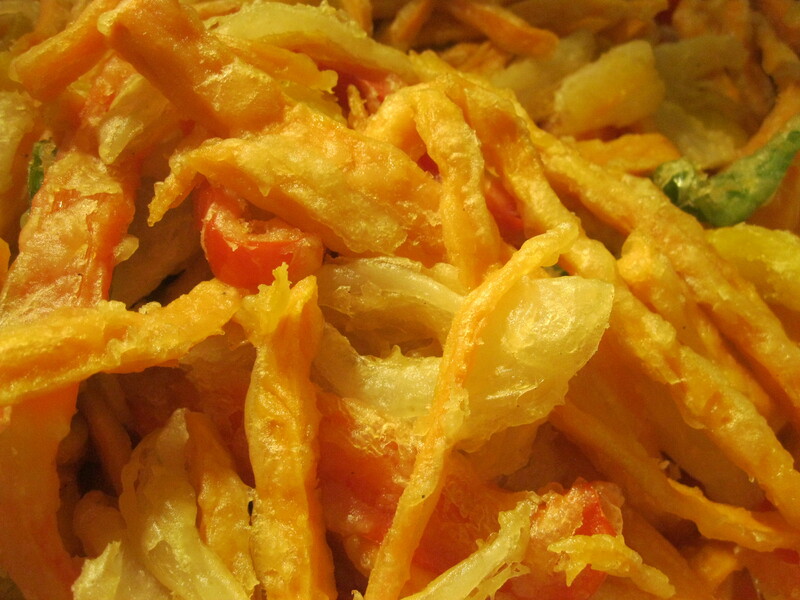 Dip all vegetables in batter. 3. In a large deep skillet or wok, fill with vegetable oil halfway up. When oil is hot, gently drop battered vegetables into the oil. Let cook for 3 minutes and then let drain on paper towels. Sprinkle with sea salt and serve.